This image, of a dinosaur’s jaw with teeth, appears in the very first published paper which describes a dinosaur. William Buckland gave a name to the creature whose fossilized remains he began to find around 1815: Megalosaurus (meaning "Great Lizard"). He called his paper "Notice on the Megalosaurus or Great Fossil Lizard of Stonesfield” and published it in Transactions of the Geological Society of London, series 2, vol. 1 (1824), at pages 390-396. Click on the image for a much-better view. Before the early 1800s, no one knew that dinosaurs had existed. When Robert Plot, an English antiquarian, found a huge, unusual bone in a Cornwall quarry, he didn’t know what it was. When he published a drawing of it, in 1676, some people said it was probably the bone of an elephant, brought to Britain by the Romans. Examining the drawing today, scientists believe the bone was most likely part of a Megalosaurus femur. When Mary Ann Woodhouse Mantell (or her husband, Dr. Gideon Mantell) reportedly "discovered" the first dinosaur tooth in 1822, and William Buckland found a fossilized jaw (with teeth still in place), the word "dinosaur" had not been coined. The tooth, allegedly found by the side of the road in the English village of Cuckfield, was similar to other teeth Gideon would later discover in the "Sandstone of Tilgate Forest in Sussex." They belonged to a creature Dr. Mantell named Iguanodon (literally "iguana tooth"). a "horn" (initially thought to be part of the creature’s nose but later proven to be a "thumb spike"
by 1844, enough remains to create an actual skeletal mount. 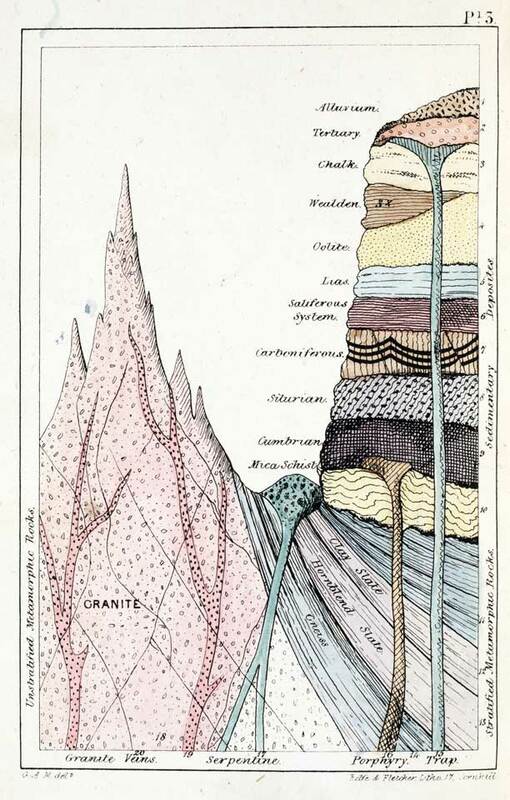 Gideon Mantell depicted what he believed to be the creature’s previous environment, in terms of geological strata, in his work “The Wonders of Geology” (published in London, during 1838, by Relfe and Fletcher). Meanwhile the jaw, which William Buckland had found in a quarry near Oxford, was about to gain its own fame. It was featured in Buckland’s 1824 paper which describes, for the first time, a class of creatures we now know as dinosaurs. Buckland named his find Megalosaurus (literally, "great lizard"). Nearly two decades later, when Sir Richard Owens coined the name Dinosauria (meaning the "terrible lizards"), paleontology was not the science it is now. Since then, the subject of dinosaurs has become a passion for both professionals and amateurs. As it happens, however, popular culture has strayed from scientific evidence on the topic of Jurassic-era dinosaurs. Bos, Carole "EARLY DINOSAUR DISCOVERIES" AwesomeStories.com. Jun 01, 2000. Apr 25, 2019.